Let´s face it: not all camping gear, hiking gear, or outdoors gear is made the same. The cheap, ten dollar cooler you buy at Walmart or Target simply doesn´t stand the test of time as does some of the other, higher quality options on the market. But how do you know which pieces of gear and which companies offer the top production on the market that will offer both durability and practical usefulness while not emptying your wallet? In this section of our leading outdoors blog, we will give you several, detailed reviews of the top camping gear and outdoors gear on the market today. From the best tent and backpack, to the top coolers and travel bags, with the information we provide here you will be able to find the best options for you. Just as all gear is not made the same, every person has different needs and desires while exploring the Great Outdoors, and these in depth reviews will help you find the best piece of gear for whatever adventure you are planning. Insulated, Stainless steel, Is the S’well Water Bottle Worth it? If you’re looking for a bottle that’s virtually indestructible, and want the best insulation modern technology will allow, then you need to check out some of these S’well bottles. Built with aircraft grade steel they’ll keep drinks cold for up to 24 hours and hot for 12. It pretty much covers the entire day, so it doesn’t matter when you want your drink, it’ll be piping hot and ready. Another great thing about S’well is just how much they care, about their products, their customers and their impact on the environment. All their bottles are backed by a one-year Satisfaction Guarantee and they also support UNICEF and have helped in the planting of more than half a million trees. I’ve compared S’wells 7 most popular flasks to see how they differ and which one is the best. Hydro Flask vs Kleen Kanteen: Which Is Better? You can’t talk about stainless steel water bottles without mentioning Klean Kanteen and Hydro Flask. The two brands offer quality insulated stainless steel bottles cementing their spots at the very top of the market. Anyone who has owned either of these bottles can agree that they offer convenience and an effective way of storing iced water, a hot beverage, or even a frothy smoothie to take with you on the go. The fact that the two brands offer essentially similar products with practically the same level of quality construction makes it difficult to choose one over the other. We went ahead and pitted them against each other to help you figure out whether your next water bottle should be a Klean Kanteen or Hydro Flask. Stainless Steel vs Plastic Water Bottles: Which Is Better? We only have one planet to live on, and nowhere else to go when this one is overly polluted. One of the ways in which we can help the environment is by switching out our plastic use for alternatives that are far better for the environment. Stainless steel bottles are awesome, highly reusable, recyclable, durable, and better in almost every way from their plastic counterparts. When you want a big enough outdoor shelter for your family or just a spacious one that provides some camping luxury then a multi-room tent is what you need. Going for one of these might sound like giving up on the outdoor spirit of adventure, but it does mean gaining some extra privacy. Regardless, you cannot go wrong investing in a spacious tent for your future group camping trips. They can fall on the heavier side and tend to be somewhat pricey, but with this guide we have you set up to find nothing short of the best. To many of us coffee lovers, coffee is the elixir of life itself. Concentrated energy in its purest form. In fact, to most people, even the smell of coffee is enough to wake them up in the morning. So, as a result, you should have a great cup to hold this very important liquid. But, which one should you choose? Top Rated Insulated Tumblers and Travel Cups: Who Makes The Best One? Tumblers can vary a lot, and while some are incredible, others break super easily or just simply don’t work. If they’re high-quality, some can maintain the temperature of a drink for up to 24 hours, but as you can imagine, a lot don’t work nearly as well. There’s a whole load of options to choose from with different designs, prices and extra features and capabilities, so how to choose the best tumbler? I’ve spent the last few days in search of the best one out there by comparing the price, durability, insulating properties and style of all the tumblers currently available on the market. After trawling through literally hundreds, I chose what I thought are the overall best 5 to share with you, so you can check them out. No matter what you’re looking for, one of these guys will fit the bill. Anyone with an outdoor spirit, or busy work day, knows that we all need one thing: hydration. I actually take a bottle of water everywhere I go, water is a “must” in any circumstances. Nowadays it is not cool to go around with a random plastic bottle, lots of them at some point gunk up the ocean and are just a waste. Plus, many of us want style and functionality (as well as save mother earth!.) And that’s where our Klean Kanteen review comes to the rescue. They have designed one of the best-known types of Insulated Tumblers (stainless steel water bottles), which keep your beverage at the right temperature. This line of jags is fabricated with eco-friendly methods and strict user safety standards. Long story short: they are awesome. On top of this they have a wide variety of styles and models; any shape, size, color… And this actually makes harder to choose the right one. But don’t panic, that’s why we are here for! So what exactly is a YETI Tumbler? Well, first of all, this is a brand that is well known for making coolers. However, that is not the only thing that they are known to make. They also make other products, such as bags, and even Tumblers. These are what we are going to be talking about today. There are plenty of other cups and bottles out there are of high quality and work for just about any occasion. However, not all of them are cups. Some look more like water bottles, but can all be used for the same purpose. A sip of hot chocolate on a frozen lake. A cold refreshing beer sat by a sunny lake. No matter the season or the temperature it’s damn handy to be able to maintain the temperature of whatever you’re drinking. 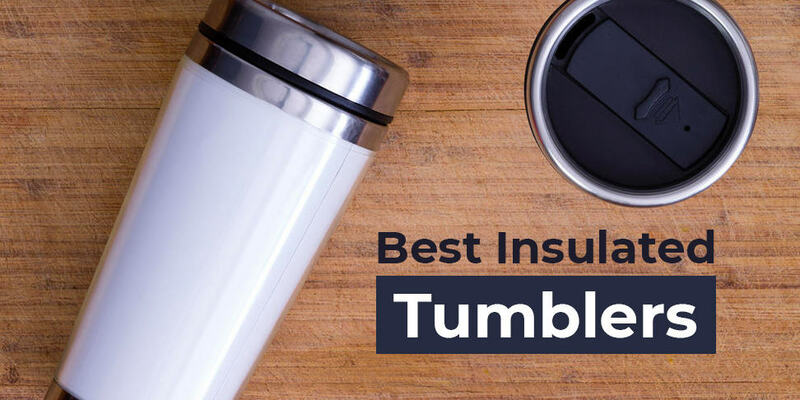 With insulating flasksnow becoming super affordable and loads of different types coming out often people get confused about how to choose the best insulated tumbler cup? First of, don’t get a crappy knock off version from some unknown brand. It won’t work well and it’ll break super quickly. Taking into account how well it insulates your drink, its cost and how durable it is I’ve compiled a list of the best 7 insulated flasks that are out there. How to choose the best insulated tumbler cup? Buying a chair and then it breaking the first time you use it is something that happens way too often. But it doesn’t need to. You just need to buy one that’s built well and built to last and I’ve just dedicated the last few days to find ones that do exactly that. I also decided to show you guys ones with unique extra bits on them, like umbrellas, drink coolers and that kind of fun stuff. So how to choose the best camping chair for your outdoor adventure?